How it Works: Three players rotate in a small circle in left front, each passing a ball tossed by the coach who is standing near the middle of the court near the net. The pace is rapid, and after every pass the passer moves several steps to the right and moves once again into the circle. To shake it up, the coach can decide to move around the front of the court and have the passers adjust to his or her movements. Instead of throwing each ball, the coach can also use only one ball and tip each pass to the next passer rather than catching the ball every time. Have the players focus on controlled, low passing and moving their feet quickly. 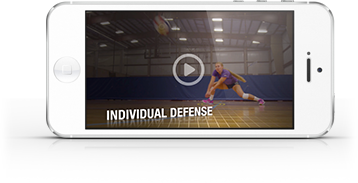 Variations: As the coach, you can change your position on the court to challenge passers to get the ball to you no matter where you move to. You can even change what kind of ball you are tossing them, mixing in swings, tips and trickier shots. The many variations that the coach creates can make this a dynamic, exhausting drill.